Passing your inductive reasoning test will all come down to how you have prepared. We provide dozens of inductive reasoning practice tests and study guide to ensure you are prepared come test day. You are welcome to use the free inductive reasoning practice test on this page to get an idea of the test itself and how we can prepare you. Start practising today to come out on top throughout the recruitment process. On this page, you will find many resources to use prior to taking your inductive reasoning test. By hitting the button located at the top right-hand corner of the page, you will be led to our free sample inductive reasoning test. Once you are completed with the test sample you will receive a score report detailing which answers were correct or incorrect. After you have received your score report you will be able to go back to any questions you may have missed for review. Below you will find two sample inductive reasoning question examples. These questions are in a similar style to what you will see on an actual inductive reasoning test. Use these questions and the following answer explanations to familiarize yourself with the test format and answering style. All triangles “move” slightly counter-clockwise and outside. A good solving tip would be to try and disassemble the complete figure to its elements (triangles) and to focus each time on one of the elements. The logic: An X shape is dotted with black and white dots. Both sets of dots are independent and follow a similar pattern. In each frame, a black dot is added counter-clockwise in the angles of the X shape, until all the angles are occupied. Then a dot is reduced, also counter-clockwise. The same pattern occurs with the white dots, only in a clockwise manner. 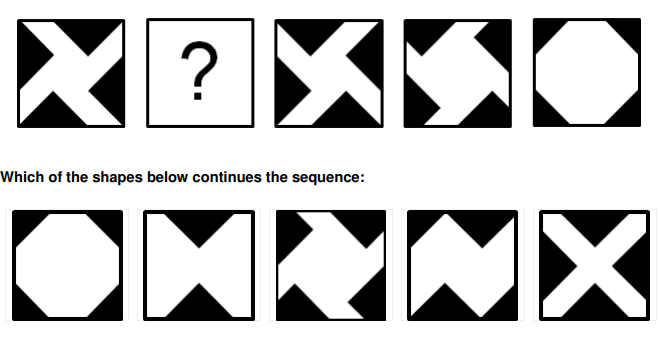 Examining the changes before and after, the “question mark” figure should look the same as in frame 2, only with an additional black dot (making all four black dots present) and an additional white dot in the upper right corner, as determined by the pattern. Inductive reasoning tests have the power to show employers a variety of strengths and weaknesses pertaining to the role you have applied for. Our in-depth inductive reasoning PrepPacks™ include dozens of practice tests, study guides, and more to ensure you are fully prepared come test day. Boost your test-taking confidence and outshine the competition through using our in-depth practice materials. The purpose of an inductive reasoning test from an employer’s point of view is to understand an applicant’s level of general intelligence and creativity. Most employers are looking for candidates who are able to quickly learn the duties of the role being offered. An inductive reasoning test helps to illustrate your ability to understand nonverbal information in the form of pictures and patterns. Recognizing the patterns in a timely manner will help you to answer each question correctly in the given time limit. As this test was designed to emphasize your capacity for learning and applying new information, receiving a high score will better your chances of landing your dream job. can be used at any time, anywhere from your computer or mobile device. Receiving a high passing score on your inductive reasoning test will better your chances of landing the job you want. Using our in-depth PrepPacks™ will not only boost your test-taking ability but your overall chances of success. Practice, practice, practice. As with many things in life, practise is essential. You should always give yourself the time the properly prepare before and test so that you know where your skill level truly lies. Practising beforehand will also allow you to improve your reaction time and overall test score. 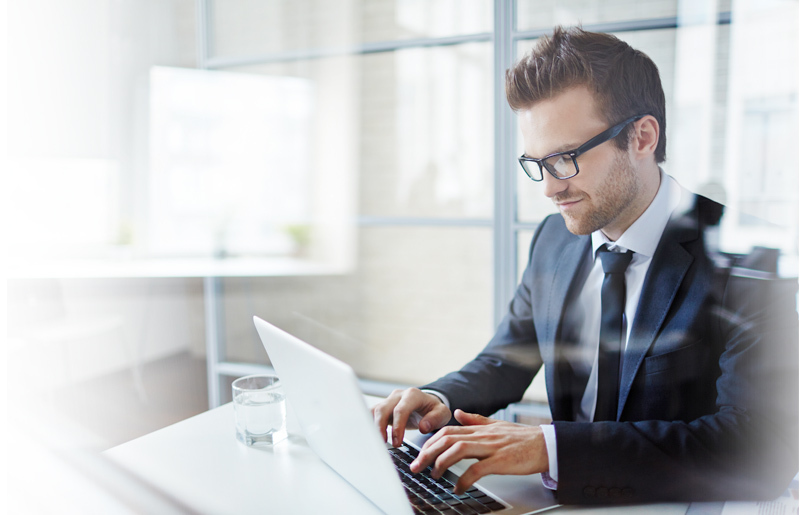 Our online inductive reasoning practice tests with answers were designed to give you the practise you need to achieve the most successful result possible. Take your time. Time management is crucial to completing this and any other timed test in the time allotted. Along the same line, you should not try to hurry through the questions you are presented or else you are bound to make mistakes. Taking your time deciphering each image for the pattern being shown will better your chances of answering the question correctly. Stay Calm. One of the best ways to remain calm when taking a timed logical thinking test will be to practise beforehand. There is no need to panic if you don’t see the answer to any question right away. Your practice test session is designed to include full answer explanations. These, in turn, will help you to easily break down any pattern that you will encounter during the course of the testing process. Are you looking for a specific test provider? We offer a variety of practice tests stylized after a number of popular test providers including CEB SHL, Cubiks, Kenexa, Saville, Talent Q, and more. Get all of the practice you need by signing up today.